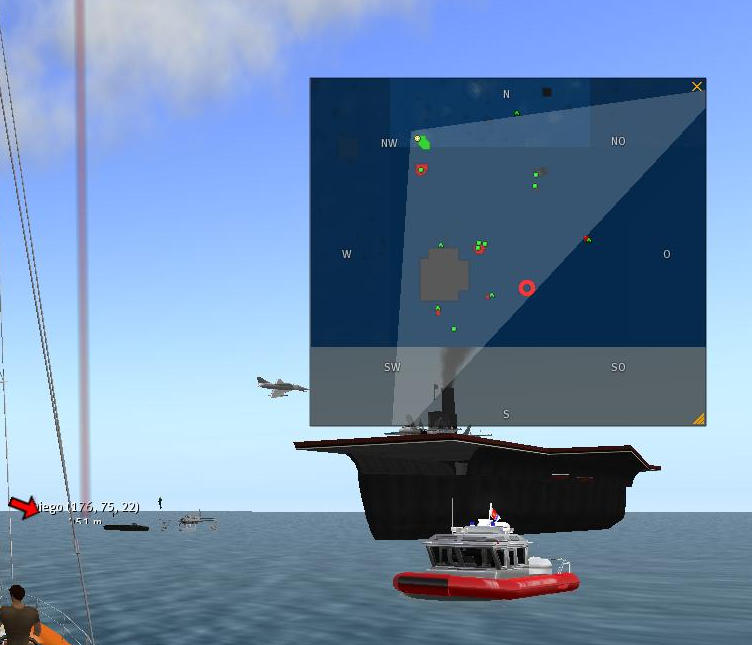 The list of changes and features from the original Second Life® viewer is on Henri Beauchamp’s website. Physical prims (for example vehicles) appear green if they are owned by you, or red if they are owned by others (See screenshot below). Phantom prims are rendered transparent (if it’s phantom it doesn’t bother you when you’re sailing). An additional checkbox in Preferences to rotate the Minimap or not. 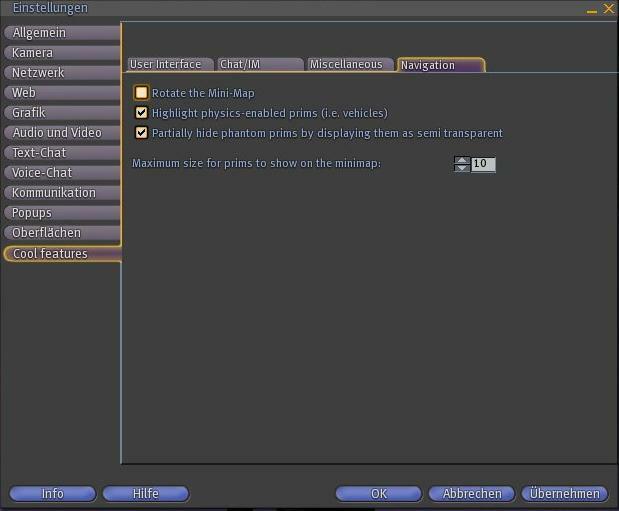 A setting in Preferences to set the maximum size for prims to show on the Minimap. Desktop notifications (requires libnotify, see below) using libnotify on linux, growl on Windows. A checkbox for the DoubleClickAutoPilot in Snowglobe. Hotkey for Snapshot to Disk changed to ctrl-shift-D to make it actually usable on non-english keyboards. Avatar Name in the window title only shows after you successfully connect to the grid. Notification in chat when someone within draw distance takes a snapshot. Inventory ‘worn’ tab shows active gestures. Inventory has Collapse, Expand and Quick Filters (from Phoenix). Several settings, normally only accessible through the Advanced Menu, are under Preferences -> Advanced. For a complete list of changes and features, see the Patches page. Dolphin Viewer can use desktop notifications to tell you about incoming IMs and such things even when you have the application minimized or on a different desktop (new in 19a, see the downloads page). For this to work you need libnotify installed. Most up-to-date linux desktop environments such as KDE or gnome already use that, so you shouldn’t have to worry about it. If Dolphin crashs on startup with a message like “libnotify: not found” or similar, use your distribution’s software manager to install it. The desktop notifier code was found in emerald beta, and thus is (c) Modular Systems. Bugfixes to it are (c) by me and realesed under GPLv2. Seriously… a timeout for 5 milliseconds for those notifications??? What is the point?